AT&T's focus on reducing debt from its Time Warner acquisition and increasing cash flow may have cost the carrier giant some subscribers during the last quarter of 2018. “Our top priority for 2018 and 2019 is to driving down our debt from the Time Warner acquisition and I couldn’t be more pleased with how we closed the year," said AT&T CEO Randall Stephenson during the carrier's fourth-quarter 2018 earnings call Wednesday. AT&T spent $85 billion in 2018 to acquire media giant Time Warner, a deal that is still being opposed by the U.S. Department of Justice, which maintains that the merger could result in price hikes for consumers. Now, the Dallas-based carrier has made clear its plans to focus on debt reduction in 2019. For the fourth quarter, which ended Dec. 31, AT&T reported 134,000 postpaid subscribers, which fell short of Wall Street's expectations of 208,000 postpaid phone net adds. AT&T added 26,000 prepaid customers during the quarter. AT&T said it had 51,335 million connected devices on its network during the fourth quarter, up from 38,991 million connected devices one year ago. AT&T executives did not address previously reported layoffs during its earnings call on Wednesday. On Monday, the company confirmed that it’s in the midst of a round of layoffs this week. Sources told CRN that the job cuts will affect “a very small portion” of its global workforce, but the carrier would not confirm specifically which business units are being affected or how many employees would be affected. AT&T's mobility segment, the carrier's largest contributor to earnings and cash flow, totaled $18.77 billion during fourth-quarter 2018, slipping down about 2 percent compared to $19.17 billion in the same quarter a year ago. The communications business, which includes high-speed internet, video and legacy voice services, fell down 4.2 percent to $37.46 billion during the quarter from $39.11 billion in fourth-quarter 2017.
Business wireline services also declined to $6.73 billion, down from $7.38 billion a year ago. The carrier's strategic services revenue, which includes Ethernet, cloud and VoIP sales, however, increased to $3.14 billion from $3.07 billion in the same year-ago quarter. Revenue from legacy voice and data services dropped to $724 million during the quarter, down from $878 million one year earlier. High-speed internet services revenues, on the other hand, climbed to $2.05 billion in Q4, up from $1.89 billion in Q4 2017. 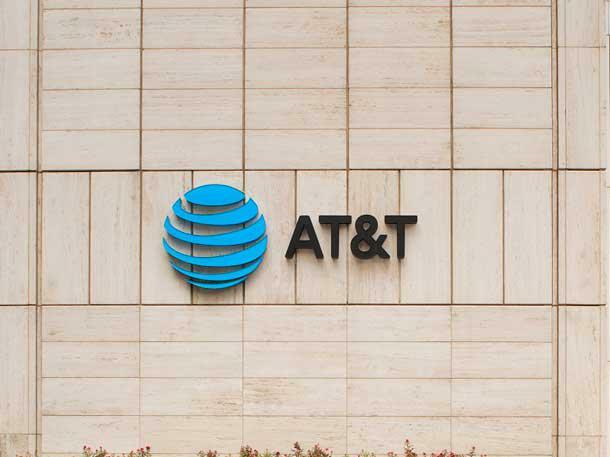 "Strategic business services revenues continue to grow, and it's a $12 billion plus annualized business that helps offset the continued legacy declines," said John Stephens, AT&T's senior executive vice president and CFO. Stephenson also touted the launch of AT&T's 5G network in 2018, which the carrier said is the country's first standards-based mobile 5G network. 5G and fiber, which is "foundational" to 5G, said Stephenson, would be a big area of investment for AT&T in 2019. "Ironically, one of the top use cases for 5G are businesses wanting to deploy 5G as effectively their LAN environment. That is truly wireless replacing fixed line as a high-speed internet solution," he said. AT&T's 5G network is now live in parts of 12 U.S. cities and it’s set to go live in seven more, including Las Vegas, Los Angeles, Nashville, Orlando, San Diego, San Francisco, and San Jose during the first half of 2019. Net income for the fourth quarter was $4.86 billion, down from $19.07 billion in the fourth quarter of 2017. Diluted earnings per share during the quarter was 68 cents compared with $3.08 cents one year ago, which AT&T attributed to impact from the passage of the 2017 federal Tax Cuts and Jobs Act which was passed last December. The carrier reported revenue of $47.99 billion for the third quarter, up 15.2 percent from $41.68 billion in the same quarter one year earlier, primarily due to the carrier's acquisition of Time Warner, AT&T said. AT&T's fourth-quarter revenue fell just shy of Wall Street's revenue estimate of $48.3 billion. For the full year, AT&T posted revenues of $170.76 billion, up from 2017's result of $160.55 billion, a growth for 6.4 percent that the carrier attributed primarily to the Time Warner Deal. AT&T’s stock was down nearly 4 percent on Wednesday morning to $29.48.